Years ago, we worked in offices. Then we dispersed to coffee shops and cafes before starting to plug in from home. And now we’ve come full circle, ready to connect and collaborate in person again, and share space with the colleagues who motivate and inspire us. But we got pretty comfy in those cafes and found that some of our best ideas were generated at our kitchen tables. So an inviting office environment where we can be just as comfortable and creative is an increasingly important factor in choosing not only where we work, but who we work for. It’s now commonplace to see people working on laptops and other mobile devices in hotel lobbies, restaurants, coffee shops, and even banks. Businesses of all sorts are setting up spots for their customers and guests to plug in and be productive, turning hospitality and retail environments into places for work as well as leisure. Even the rapid growth of coworking spaces like WeWork is evidence of this trend. Gone are the days when a corporate office was the only option for getting stuff done. Mobility in general is now firmly planted in corporate culture, and a policy that allows occasional remote work is an important perk that employees – especially millennial’s and their younger Gen Z counterparts – look for employers to provide. In fact, a recent survey of more than 2,000 college students suggests that 77% want the option to work from home one day a week. 54% say a flexible work schedule is the most important factor, outside of salary, when choosing a new position. With such importance placed on flexibility and mobility, what will bring this workforce back to the office? Creating a more comfortable, inviting workplace is step number one. The most effective corporate offices now combine private workspaces with shared collaboration spaces – individual desks with team rooms, group lounges and cafes. The spaces are lighter, airier, and adorned with a mix of natural elements and bright colors. In short, offices now look a bit more like those hotel lobbies and coffee shop lounges than, well, offices. Literally combining residential with commercial, the “resimercial” trend is becoming prevalent throughout the commercial interiors and furniture industries and combines elements of home and hospitality in the workplace – creating places where people want to be. This may come in the form of sofas and game tables in an employee lounge that now feels like a living room. Or maybe it’s a simple shift in materials, textures and finishes that resemble those you’d find in a residential building: softer fabrics, natural woods, living plants, and local artwork. Open staircases, family-style kitchens, and even accessories like books, photographs, baskets, and vases all add to the “homey” aesthetic and enhance a space with the personality of the people who occupy it – just as it takes a family and all of their inherited treasures to turn a house into a home. Furniture manufacturers are paying close attention to this trend. After all, it’s not as simple as selecting products from a home furnishings catalog and ordering them for office use. 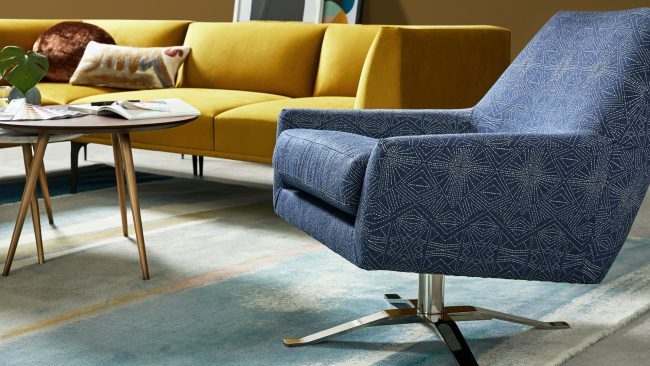 A living room sofa may have to endure the tortures of a toddler or a family pet, but that’s still far less than the wear and tear that office furniture must withstand – particularly in common areas that are used by dozens, if not hundreds of people each day. So a key element of resimercial design is finding that balance between the residential aesthetic and commercial grade durability – a balance that’s often best achieved through partnerships. 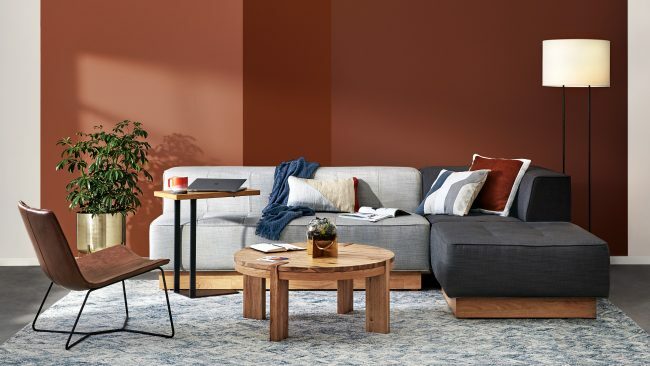 West Elm, for example, recently joined forces with Steelcase to bring its popular residential design aesthetic to the commercial market. Any organization’s office must be designed to reflect its authentic culture, and to support the kind of work its team members are tasked with. There’s no one-size-fits-all design solution, nor should there be. But by layering in elements that feel familiar, an employee can feel more at home – more secure, connected and more valued. By supporting employees in this way, their happiness and wellbeing improve, as do their motivation and productivity – improving retention and boosting the organization’s bottom line. As a deliberate design strategy, a warmer and more welcoming residential aesthetic contributes to employee autonomy, too. Offering a variety of work spaces empowers team members to choose where and how they are most comfortable and productive for both individual focus work and group tasks. And just like the social dynamic of the coffee shop or the creative energy of the kitchen table, in a comfortable and inviting office environment, employees can feel like they’re part of something, motivated to contribute to the organization and its overall mission. 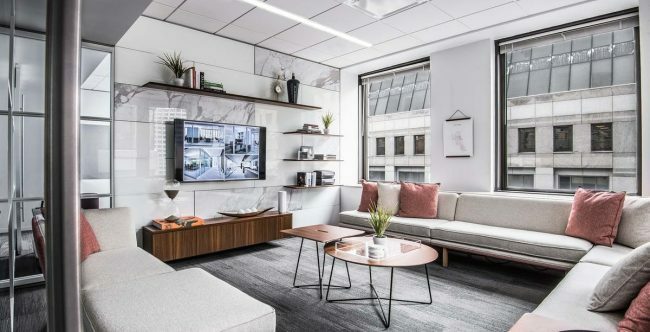 Comfort can take many forms, from cozy lounge furniture and amenity-rich workspaces in the literal sense, to a culture of helping employees feel welcome, nurtured and empowered in a more figurative sense. Both are important in the 21st-century workplace, and fortunately they feed each other – place inspires people, while people make the place feel like home.